Your garage door covers approximately 30 percent of the front of your home; that’s a big chunk of your curb appeal. Determining which garage door will occupy that space is an important decision best not left to chance. The Overhead Door of Sioux City and Yankton’s DoorView Visualizer makes quick work out of deciding what door will look best with the exterior of your house. It is an online visualization tool that allows you to select various garage door options and see how they would look on your home. Think windows would add more appeal? You can try different styles and shapes to see which would best compliment your trim. Or maybe you’ve noticed the wood-look trend and wanted to see how that would look. It is possible with the DoorView Visualizer. The DoorView Visualizer is part of our DoorView Design Center. The process is pretty simple. There are only five steps between you and a new garage door. Go back through the tool time-and-time again until you find the exact door you are dreaming about. (Get a complete walk through the DoorView design center here.) The best part is, you can design your door for free. Once you have the ideal door in mind, contact Overhead Door of Sioux City or Overhead Door of Yankton and we will provide a quote for your new door. 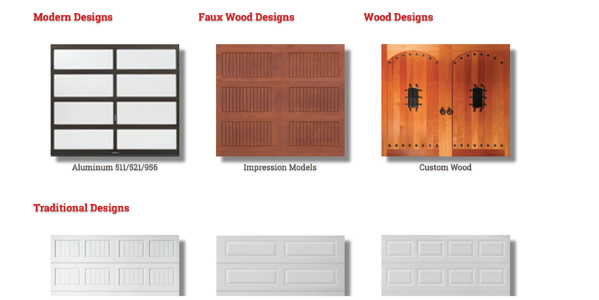 We can even give you our expert opinion as to which doors we think would be perfect for your home. Upgrading a garage door is one of the best things any homeowner can do to improve the value of their home. Let us turn your home improvement ideas into a reality.